Sine Theta Magazine is thrilled to welcome the prosperous, flourishing year of the boar with the official release of Issue #10 “THRIVE 盛”! 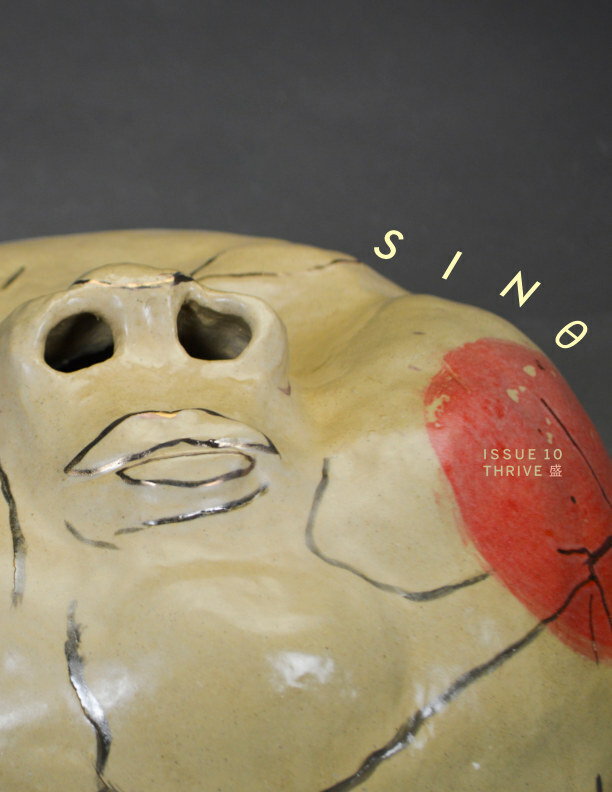 Presenting poetry, photography, short stories, personal narratives and visual art by Sino creatives worldwide, this issue features interviews with designer Tiger Dingsun and poet He Dong offering insight on the creative process and practice. Other works include spatial performance art by C. Grace Chang and Shuang Wu exploring the infinite connections between physical distance and time, narratives by Lauren Lee and art director Elisabeth Siegel examining the ever-changing sense of the “self,” and poetry by Shicong Xie and editorial intern Li Yu reflecting the waxing and waning of time. Issue #10 showcases the endless nurture and cultivation from creatives, readers, supporters and staff who we will continue to blossom under the sun and thrive under moon. Front and back cover featuring works by Anny Chen.